New easy jet Helmet ride, now including sun visor more surrounding. 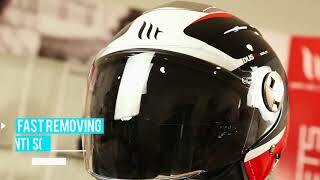 With its top vents this third generation of CITY helmet is a perfect option for scooter riders. Anti-scratch visor with fast removing system. Sun visor.